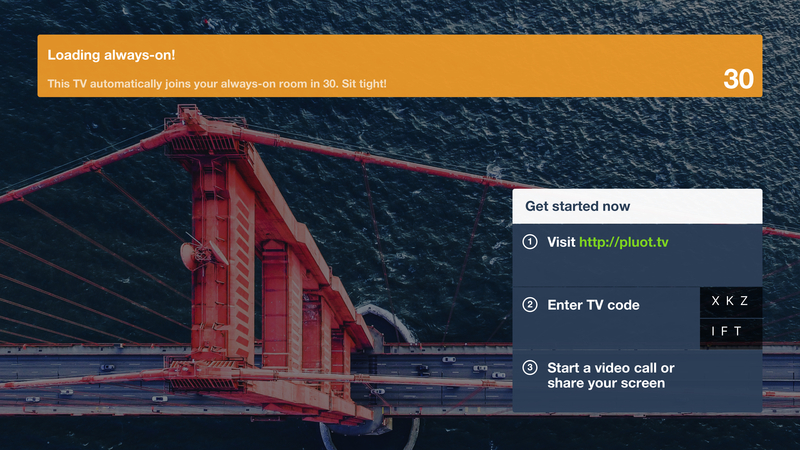 "Always-on" is a video portal between TVs. It's easy to set up with our hardware. Whenever an always-on Daily.co TV is on, it's in the video portal. The TV automatically joins the always-on portal room. To set up a video portal, contact us. We configure your Daily.co device on our backend, to autojoin the portal. Your TV then auto-joins the always-on. If your box is rebooted or gets disconnected from the network, it will auto-join your always-on meeting link once it’s back online. A popular use case is to set up a video portal between locations. For example, you have multiple offices and want to connect them, with a video portal. 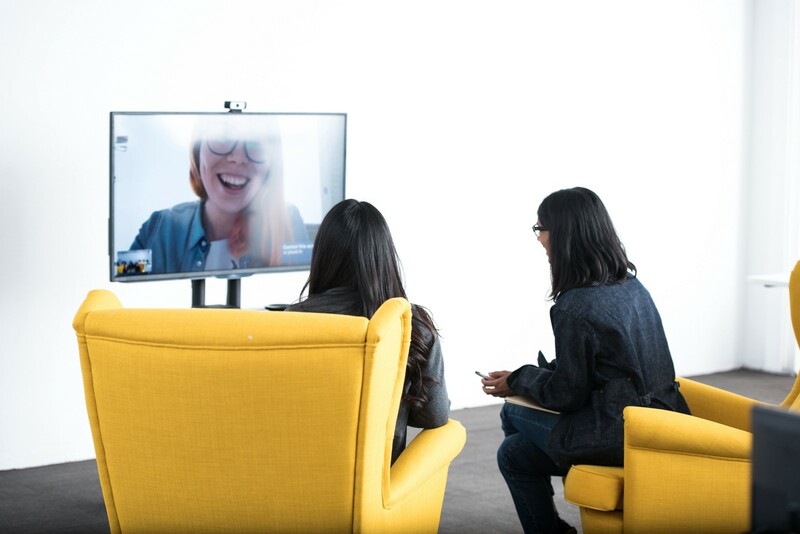 You have a live video stream between each office, so your team connects better. Similarly, always-on makes it easy to have multiple meeting rooms. You can assign each conference room its own meeting link. No more having to check the meeting link for the conference room you’re in. Each conference room is assigned a consistent meeting link, to cut out the confusion. Order a Daily.co hardware system. 👉Up to 4 users can be in an open portal, for now. Create a meeting link to be your always on portal address. Set it team or public, as explained in this help page here. Set up your TV system, and turn it on. Once your TV boots, after a 30 second countdown, it auto-joins the portal. Don't type or click. The TV goes right into the portal. Yes, you can use your always on system for other calls. Basically, you turn your computer or phone into a remote control for the TV. You then can tell the TV to leave the portal. Look at your TV lower right – there's a 6-letter all caps screen code. Enter those 6 letters on the join page. Done. 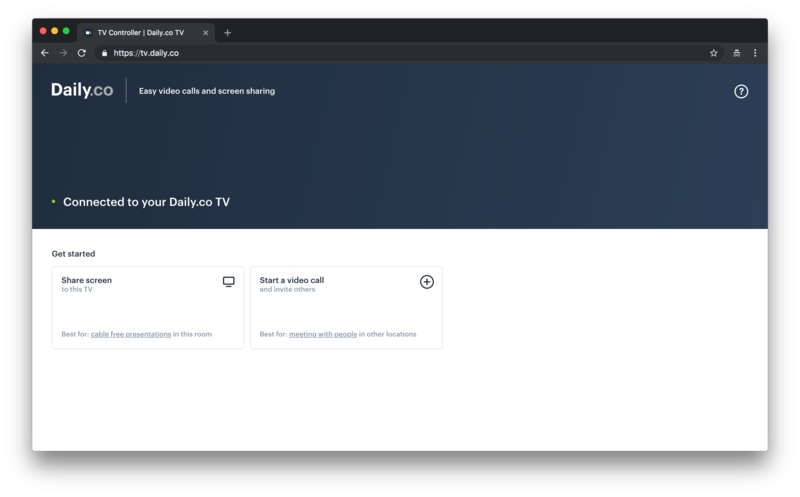 When you clicked on your other link, and entered the TV screen code on the join page, you told the TV to leave the portal and join that other call. Enter the screen code in the lower right corner of your TV. You now control the TV. In your browser, you'll see a control page like the below. Click Leave call, to exit the portal. When you're done with your other call, just click Leave call. You don't have to do anything else. Your TV exits the other call, and after 30 seconds will rejoin the portal. When you exit your meeting, your Daily.co box counts down 30 seconds, and then auto-joins its default, always-on meeting link.